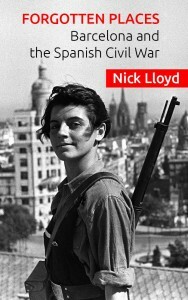 My guidebook “Forgotten Places: Barcelona and the Spanish Civil War” is now available on print on Amazon and Kindle. 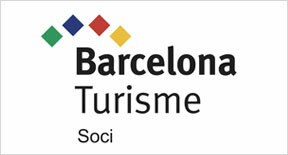 It is also for sale in Barcelona at these places: La Llibertària, Spice Café (Poble-sec), Llibreria del Raval (La Central), Llibreria del Museu de la Historia de Barcelona, Rosa de Foc, Alibri, Bookshop of the Catalan History museum, bookshop of the Born Cultural Centre. The book is a guide to places and events Barcelona in the Spanish Civil War, but although it is centred on 1936-39 it also covers the working class history of the city from the late 19th century, looking at the conditions and movements which led to the revolution of 1936. Stories from the aftermath of the war and the Franco regime are also included. In addition with dealing to the more obvious themes such as anarchism, George Orwell, the aerial bombings, the May Days, etc, it also looks at more off topic themes such as the Zoo during the Civil War, Barça, urbanism, Nazis in Barcelona, Robert Capa, the Spaniards in the Holocaust, poster art… Intertwined in the text are contemporary quotes, and a few personal stories of people who experienced the war or its aftermath which have never been published before. There are extensive biographies of figure such as George Orwell in Barcelona, the Catalan president Lluís Companys and the POUM leader Andreu Nin. The book is divided into two main sections: a history of the war centred on Barcelona (35,000 words) and the main guide (90,000 words) to the sites sub-divided into neighbourhoods and accompanied by maps. The sites are often used as an excuse to tell stories of some aspect on the war. There is also an introduction, a glossary, index, and bibliography. Avaialable now in print and on Kindle. Commented photos of the Spanish Civil War and radical history of Barcelona The idea is to build up a visual record of the radical history of the city.